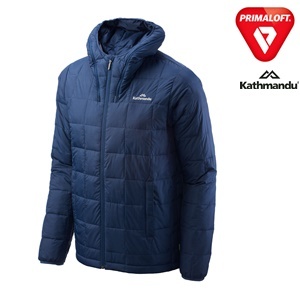 If you like the feeling of down, you’ll love the feeling of this synthetic-filled jacket – it provides warmth when wet thanks to PrimaLoft® Black Insulation ThermoPlume®, dries faster than actual down and is easier to care for. The Men’s Lawrence Insulated Jacket features a novel square design and doubles as a travel pillow. Can be used as a pillow when packed into its ‘back of neck pocket bag’ – part of our pack&GO travel solution.